The dust has finally settled. Yes, the holidays have come and gone. All of the decorating; shopping, gift-wrapping, cooking/baking and general holiday rat race have subsided. Life as we know it resumes. That would normally be my story of the holidays. However this past Christmas we decided to do something different. 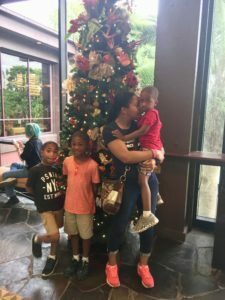 I was a bit apprehensive on how it would be received by our kids and extended family. Fortunately, I can report that this was probably the best Christmas that we have ever had. I suppose you are wondering what was the secret to my most awesome Christmas experience ever? 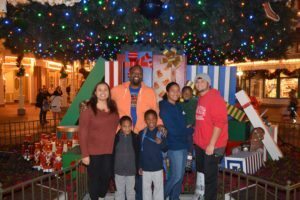 As my husband and I sat down and reflected upon our holiday experience, I just remember being exhausted and so very relieved that the frenzy of Christmas was done. I could only recall the one-hour of joy that I received watching my boys open their Christmas gifts. REALLY?!? All of the drama and stress leading up to Christmas had culminated to one meager hour of joy. Now please don’t get me wrong. I love spending time with family, entertaining/hosting family dinners and the conversation had during those gatherings is awesome. Let’s be honest, though…even that requires prep time and cleanup that usually adds up to more time than the gathering actually lasts. This year we said, we needed to have another option to celebrating the holiday and ringing in the New Year. 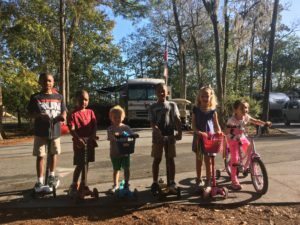 This year we explained to our kids that we would not be exchanging gifts for Christmas because we would be hopping in the RV and going away for an entire month. Our family was also informed that we would not be participating in the gift exchange this year. What a relief! What heavy burden lifted off our shoulders that began to be felt around Thanksgiving. Yes, while everyone else was running around town searching for bargains to start checking people off their gift-giving list, we were going about life normally. No malls. No sales circulars. No black Friday. No stress. 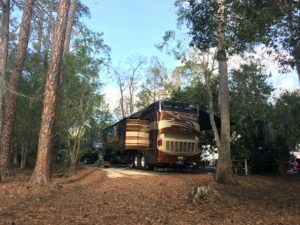 On December 22nd, we loaded up the RV and hit the road. 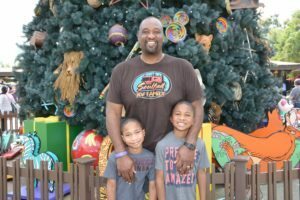 Our destination was Disney World in Orlando, Florida. Once again we vacationed at Fort Wilderness for a couple of weeks to celebrate Christmas and ring in the New Year. Fort Wilderness was an awesome spot for the holidays! 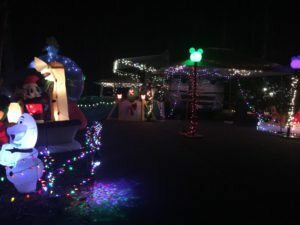 I would say that at least 80% of the campers decorate their RV sites for the holiday. It was truly a winter wonderland!!! The kids had a blast playing outside with other kids everyday. Even our new puppy enjoyed hanging out at their doggie park multiple times per day. 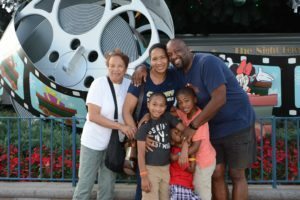 On Christmas, we planned our day at Epcot and enjoyed a few holiday shows. 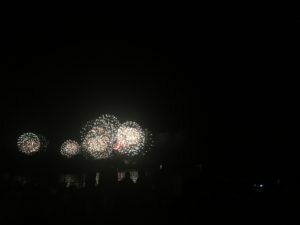 New Year’s Eve was also made special by enjoying a beach-side firework show that Fort Wilderness offers to its guests. We took advantage of the early show so that we could have the boys in bed before midnight. Now as special and as relaxing it was to be at Fort Wilderness, we also reserved some time away from Disney property in nearby Clermont, FL. 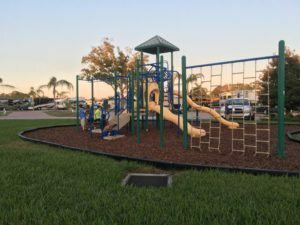 We found a lovely RV community called Citrus Valley RV Resort. 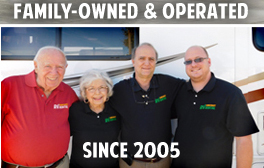 There they have a moderate size community of RV sites that are available for purchase and rental. We absolutely loved staying at this family-friendly resort. 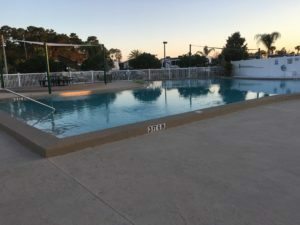 We were blessed to secure a site right in front of the clubhouse, pool, and playground. There were daily activities including ice cream socials, food trucks, and live entertainment. The boys love riding their scooters around the park and exploring. 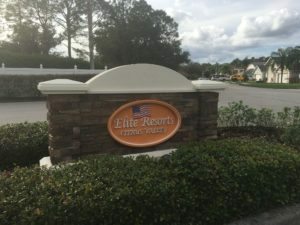 The big advantage here is that you are still only 8 miles away from Disney! I have already been asked if we regretted the way we chose to spend the holiday. I must say that I have not missed a thing about how we have traditionally spent the holiday. We have enjoyed this experience so much that we are already planning our trip for next year. It may not be Disney again, but it certainly will not be spent stressing about holiday prep and gift shopping. Mostly it has shown my kids that they don’t need gifts to feel in the holiday spirit. All we need is to be together and remember the reason for CHRISTmas. I am so thankful that my kids are getting this lesson early in life. I know that it will fill their hearts and spirit with joy for years to come. I pray that you all had a wonderfully blessed Christmas and that you have an exceedingly prosperous New Year.